I’ve always said that patience is a virtue and the best things in life are worth waiting for. If you think that swiping left and right on mobile dating apps is the quickest way to snag a date, I encourage you to cast a wider net. 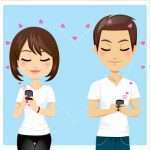 When it comes to digital dating or flirting on a variety of social networking apps such as SnapChat, Twitter, Instagram or Facebook, the need to respond quickly takes over. I say, take a big digital breath and follow these steps to do it right. In a recent interview for the magazine SOS Solteiros in Brazil, I shared some of my favorite flirting tips for dating on Instagram. Take it Slow. There’s a fine digital balance between being social media friendly, or coming across as a stalker. Start out by following your digital crush’s feed on Instagram and wait a few days before you start clicking on the heart to like his or her updates. Resist the urge to obsess over their Instagram page and instead, add locations to your posts on Instagram to enhance your own posts. Search for Favorite Hashtags. If you’re a basketball fan, search for the hashtag of #basketball and start following people who post frequently on that subject. If you’re a music lover, make sure your posts have the hashtag of #music and look for others who are passionate about music, concerts, or musical instruments. Turn on Post Notifications. If you want to make sure to find out when your digital crush posts a new photo on instagram, you can easily be notified. To do so, click on their profile. Click on the three dots on the upper right hand corner of their profile. In the drop down, click on “Turn on Post Notifications.” Boom. 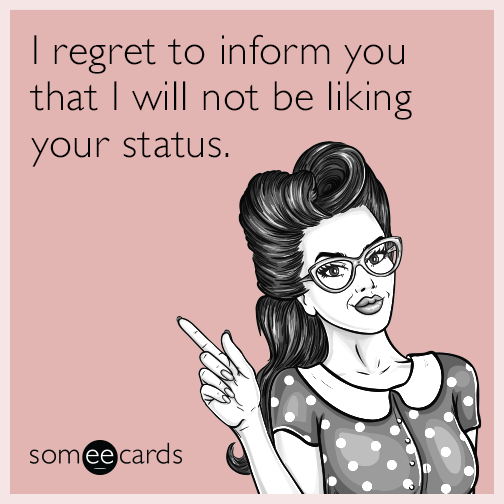 You no longer have to stalk their profile to see what they’ve been up to. Comment every few days. Once you have started following someone you’d like to get to know better, start commenting on their posts. Take it a step further and make sure to mention their Instagram handle in your comment. For example type, What a great quote @JulieSpira! This way the person will get notified that they’ve been mentioned by you and can respond. Use Emoticons and Emojis. They are fun and flirty and belong in your comments. Hearts, smiley faces, musical notes, apple pie. You get it. Go less on the word count and ramp up those cute icons to show you indeed are a digital flirt. Start Chatting Privately. Since Instagram doesn’t let you chat privately, head over to Facebook and send a friend request, but only after you’ve spent time commenting on each other’s posts. If your advances are one-sided, and they aren’t following you back, don’t send a friend request, as you might appear like a stalker. If you have friends in common on Facebook, there’s a greater chance your new crush will accept your request. Are you flirting and finding love on Instagram? We’d love to hear your stories. Julie Spira is America’s Top Online Dating Expert and Digital Matchmaker. She was an early adopter of the Internet and has been helping singles find love online for over 20 years. For digital hand-holding, check out Irresistible Profiles and sign up for the FREE Weekly Flirt newsletter. Most people seem to be obsessed with photo sharing sites these days. If a picture tells a thousand words, how does this digital habit affect your dating and love life? With over 200 million users and 20 million photos shared daily on Instagram, dating can bring authenticity for single daters who are looking for love online on their mobile phones. These days, it’s not unusual for singles to check out both Facebook and Instagram photos of potential dates so see their recent activity, favorite restaurants, what interests and passions they have, and to find out if they have friends in common. Are you ready to hop onboard for a tutorial on photo love? In a recent interview with the New York Post, I explained how to successfully date with the help of Instagram. 1. First find someone who interests you, and start following him or her. 2. Start liking a couple of his or her photos. 3. After a week or so, start commenting on the photos. 4. Finally, find your potential crush on Facebook and send him or her a private message. If you’d like to find a simple way to flirt and date on ‘Insta’ without approaching someone who isn’t single, there’s a new mobile dating app called Glimpse, which helps singles get to know each other with more than a swipe. How it works, is you’ll sign up with your Instagram account and select a primary photo from your Instagram account or your Camera Roll on your mobile phone. Then you can select nine of your favorite photos that describe your personality and you?re ready to go. Users can specify their age filters and sexual orientation to help find the best matches. Once you’re signed up, they’ll send you profiles of people nearby first. Then you’ll start receiving profile matches from singles in other cities to expand your horizons. When you view a profile that interests you, swipe up to see their nine selected photos. Sure there are a lot of food shots, but if you’re a sushi lover, you just might find the perfect date based upon his or her photos. If you think you’ll click, tap on the smile button and your potential date will be notified and you can start chatting. Elan Miller, co-founder and CEO of Glimpse says the reply rate to first contact is over 70%. “I can tell you that number is huge as compared to most traditional online dating sites and many mobile dating apps. Photos (of how we see the world) are really effective icebreakers. Instead of the generic “hi” or “pickup line” people have something natural to talk about. Early feedback has been the tone/environment of Glimpse is way different from anything else out there,” says Miller. With over 200 billion photos now shared on Instagram, isn’t it time you gave it a shot for dating? 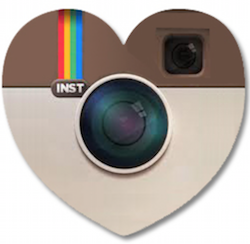 Would you use Instagram to check out a date or to actively pursue a relationship? Your comments are welcome. Julie Spira is an online dating expert and founder of CyberDatingExpert.com. She was an early adopter of Internet dating and coaches singles on the dating scene with her Irresistible Profiles programs. For more dating advice, sign up for the free Weekly Flirt newsletter and follow @JulieSpira on Twitter.